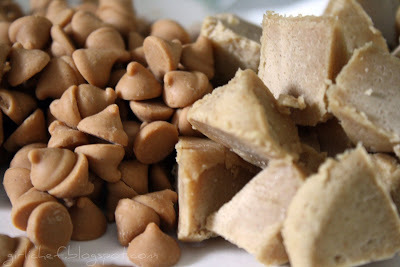 In honor of my recent Simply... Cookie Dough Giveaway, I'm sharing this recipe requested by the munchkins! 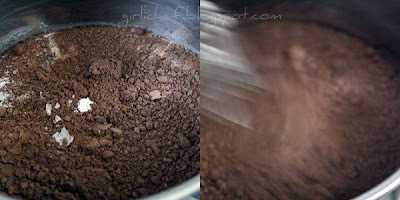 Whisk together the half & half, cocoa powder, sugar and salt in a large sauce pan. Heat the mixture, whisking frequently, until it comes to a full, rolling boil (it will start to foam up...so keep an eye...it'll overflow quickly)! 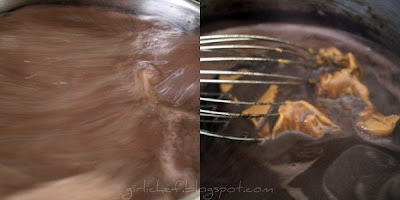 Remove from the heat and whisk in the peanut butter, stirring until thoroughly blended. 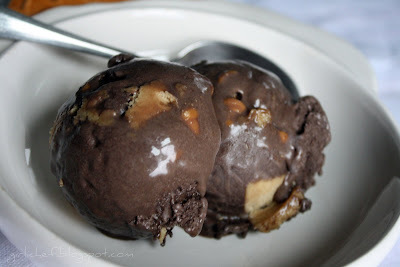 Chill the mixture thoroughly, then freeze it in your ice cream maker according to manufacturer's instructions. 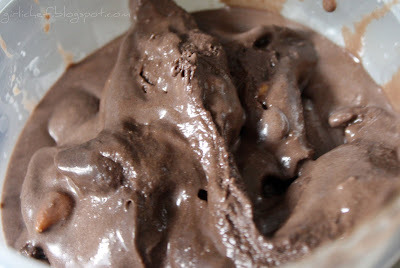 At the point the mixture has begun to thicken in your ice cream maker (~10-15 mins. ), add these beauties in! Eat it right away for a soft-serve-like consistency. 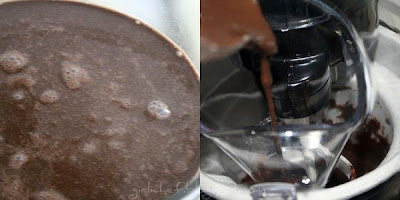 Or transfer to a container and put in freezer until ready to scoop out and enjoy! 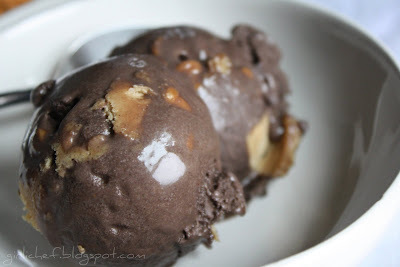 So yes, definitely use some of the cookie dough in ice cream if you're a fan of the raw stuff...it was deeeeee-licious! On a separate note, can I tell you how much I love the new Ice Cream Maker (like that, only black) I recently bought on clearance ($15.00!) at Walmart. This one only requires me to put the bowl in the freezer. My old one needed ice and salt and it was just plain annoying to use...which is probably why I only used it twice...yeah, 2x! That's it. I mean, maybe I'm just lazy, but sheesh...anybody want it (after that glowing review)? ?